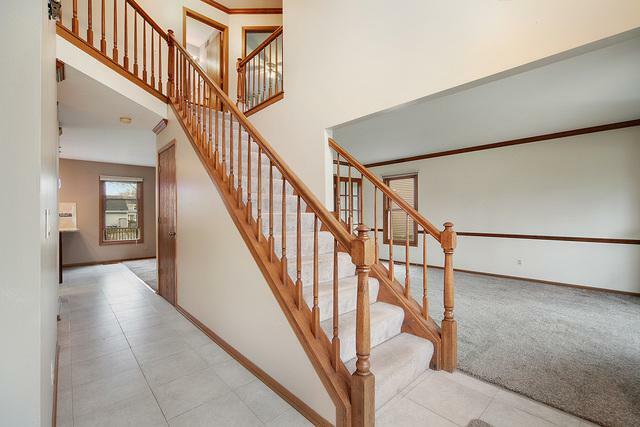 Spacious 4 Bedroom/2.5 bath home in the Cherry Park subdivision of Batavia! With its updated kitchen, newer cabinets and granite counters this family home features a semi-open floor plan. Nice flow from kitchen to separate dining room and family room with impressive fireplace. 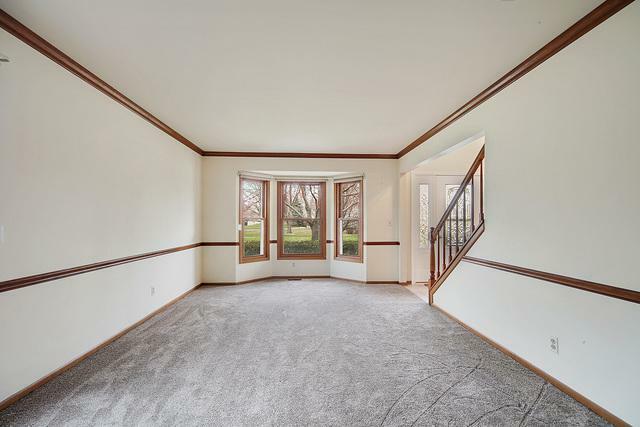 French doors connect the family room to the light filled living room and both rooms feature brand new carpet! Kitchen has large eating area overlooking the backyard - what a perfect way to start your day! Master BR/BA with walk in closet and 3 additional spacious rooms upstairs. Freshly painted finished basement with office/hobby room with kitchen cabinet and sink (room is wired for refrigerator) and rec room, storage area. HUGE fenced yard. 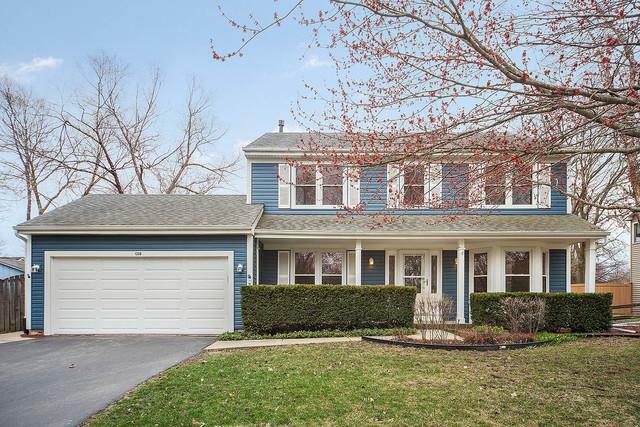 This home is within walking distance to the elementary and middle school of awards winning Batavia District 101! 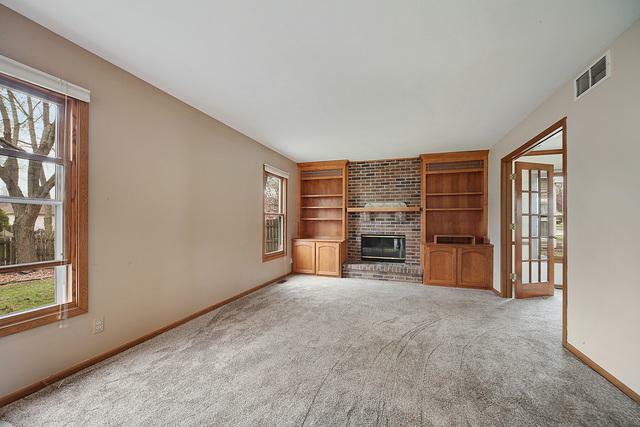 Just 5 minutes to I-88, 10 minutes from the Metra and downtown Geneva. Close to Big Woods park! Ready to move into! A must see! !